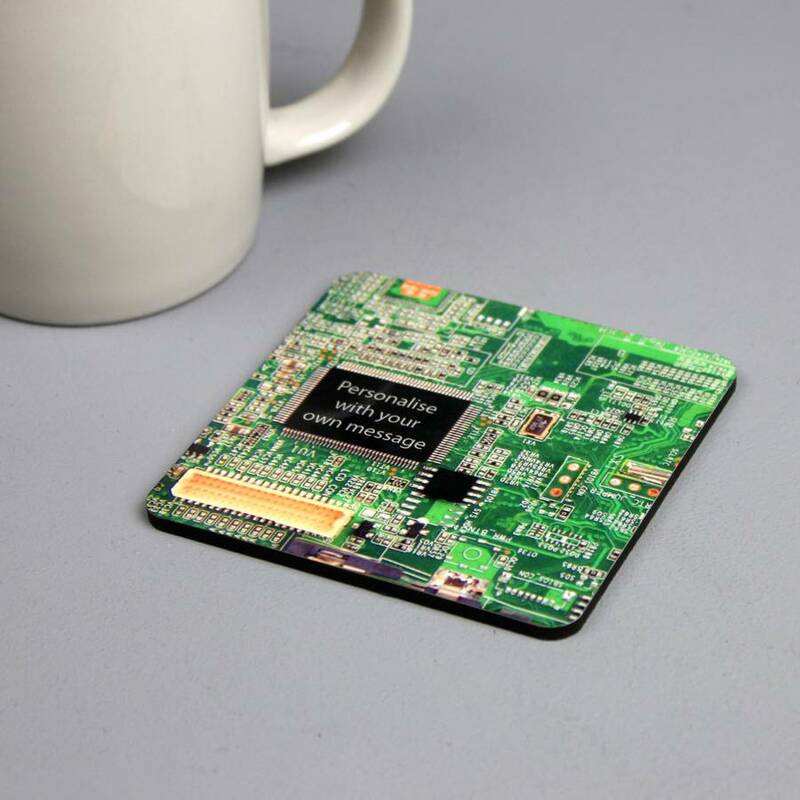 A personalised circuit board coaster - perfect for a computer geek, scientist or general electrical genius! 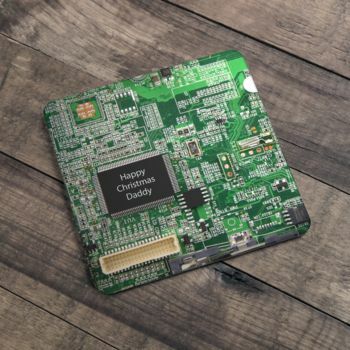 The circuit board (it's an image of a motherboard from a PC if you're interested!) can be customised with your own message. Your message will appear in the black area on the coaster. Examples of personalised messages we have printed on this coaster include "Happy 50th Birthday Dad", "David's Brew" and "Best. Geek. Ever"
This unusual coaster will surely be the talk of the table. It would make a perfect present for someone who maybe thinks they can fix anything! Hard wearing coaster with cork on the bottom. 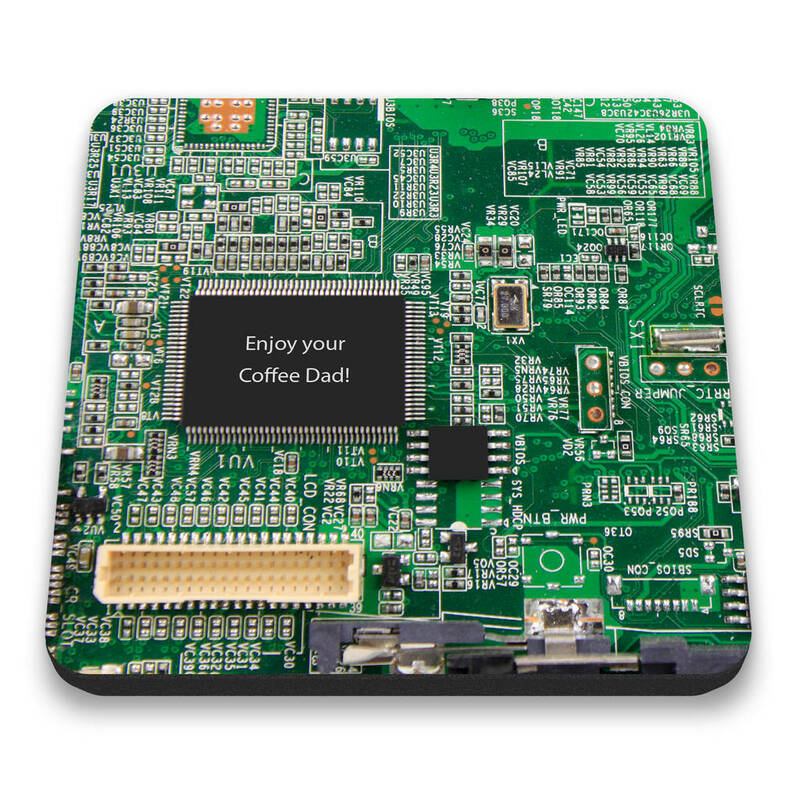 This product is dispatched to you by For The Love Of Geek.